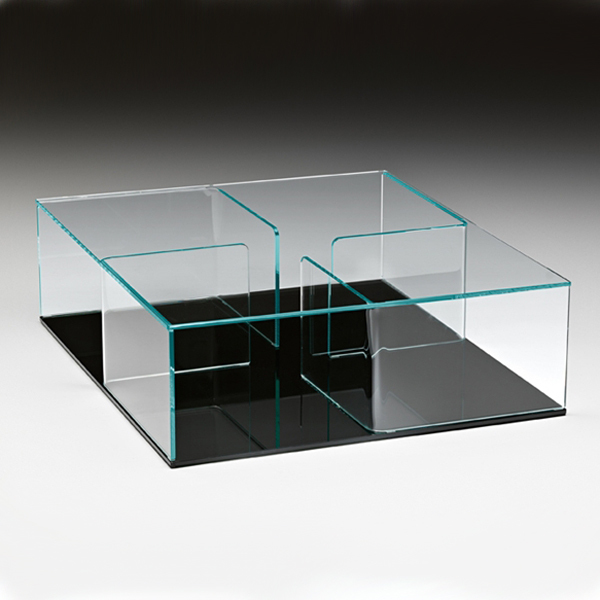 A stunning coffee table with ample storage space. 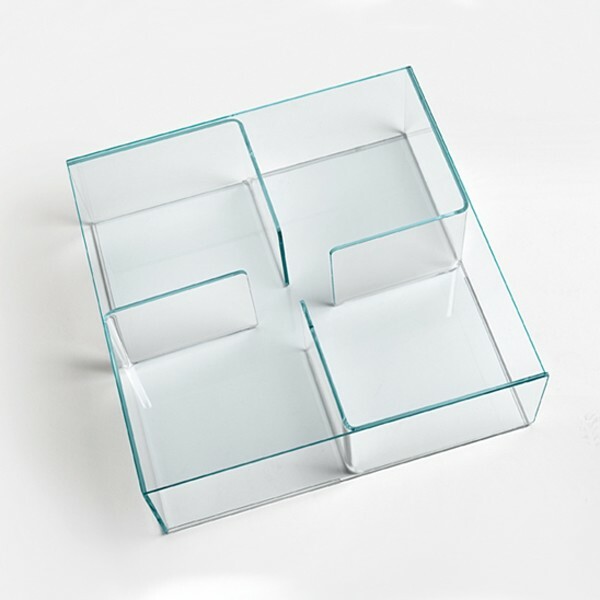 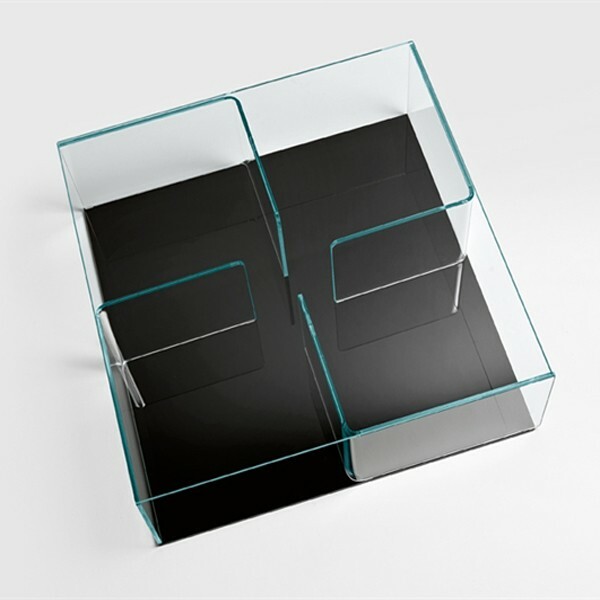 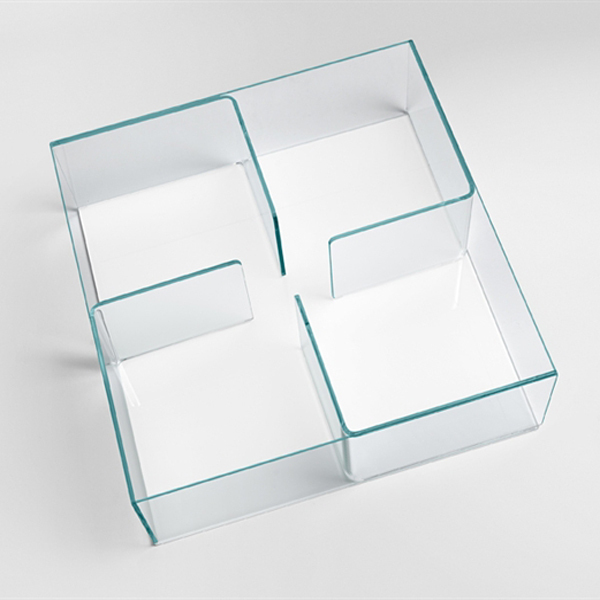 The table is composed of 4 curved glass elements sandwiched between 2 sheets of glass. 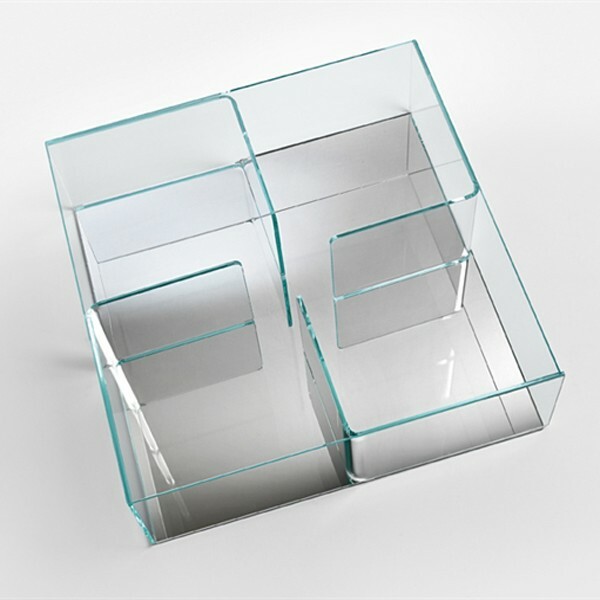 The curved parts divide the table into storage sections. 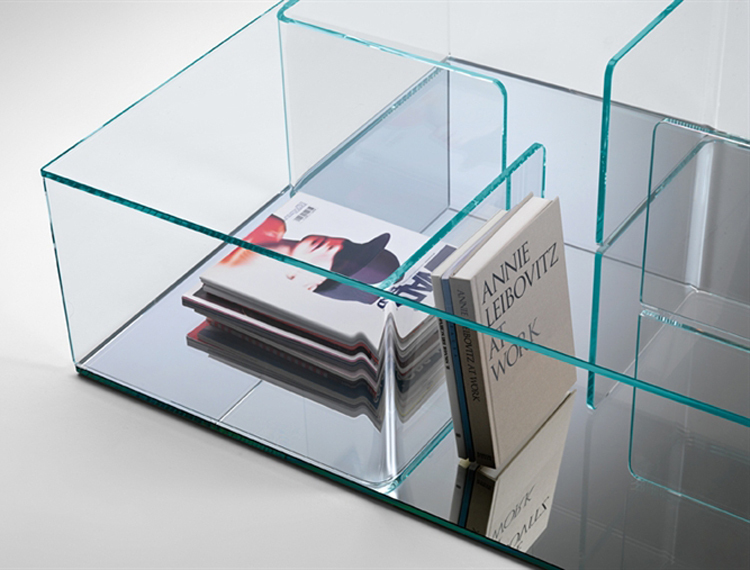 The top and curved parts are in 10mm thick extra clear glass - the base is available in extra clear, lacquered or mirrored glass.